Starset is an American quartet from Columbus, Ohio, formed by lead singer Dustin Bates in 2013. 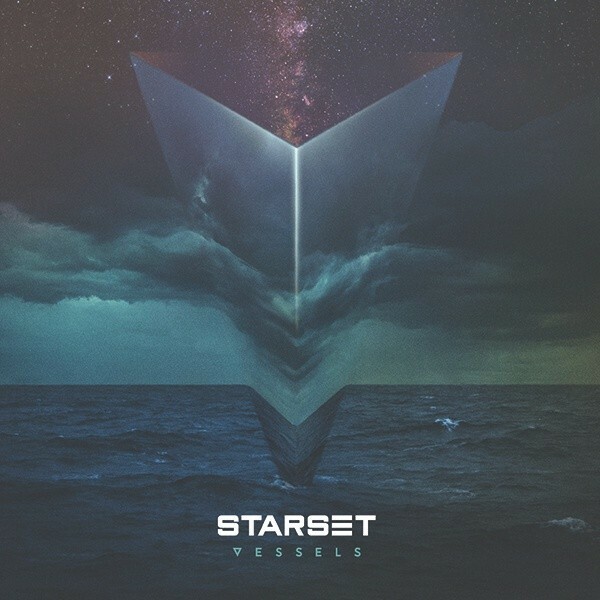 'Vessels' is the band's sophomore album, following 2014's 'Transmissions' debut and should appeal to anyone with a Modern Rock bent and those who like to indulge a range of styles and genres. As well as Bates (who is the principal song-writer and also handles keyboards) the current line-up includes Ron DeChant (bass), Brock Richards (guitar) and Adam Gilbert (drums). Starset have a unique and unusual image and can generally be seen helmeted and pressure-suited (surely far too warm?) on stage. On the back of tours with the likes of Breaking Benjamin and In This Moment, they were able to enlist the services of producer Rob Graves (Halestorm, Red) and the mixing talents of Ben Grosse (BB, Filter) for 'Vessels' creation. Bates' influences include the likes of Nine Inch Nails, 30 Seconds To Mars, Red, Skillet and BB and they are all featured during the fourteen tracks on 'Vessels'. The dreamy melodies have a hypnotic quality and some of the song structures and arrangements are bordering on Progressive. Having said that, a number of offerings, 'Die For You' for example, are essentially Melodic Rock. It does come as a surprise when the harsh vocals make their first appearance during the second song 'Frequency' and though they are used again occasionally (and briefly), they never feel intrusive or detrimental to the song. Swathes of keyboards and computerised orchestration enhance the atmospherics, in the process complimenting the big riffs and high profile percussive elements. The album has a great sound and is well balanced, with the AOR-tinged 'Ricochet' and sublime 'Starlight' sitting nicely next to the edgier 'Into The Unknown' and more powerful 'Gravity Of You'. Bates musical visions are highlighted by 'Back To The Earth'. Even with one of the shorter running times, this is something of a mini epic with an ambitious scope that throws everything but the kitchen sink into a conclusive barrage of guitars, drums and keyboards. The lengthy 'Everglow' brings things to a close, summarising in eight minutes everything that has gone before, caressing then bludgeoning the senses and running the gamut of emotions. Image aside, Starset have created something special that should not be ignored simply because of genre definition.